Meat & Cheese Platters, Pâtes, Salami's, Cheeses, Mustards, Aioli. Crudites, heirloom cherry tomatoes. Mini shrimp cocktails. Dinner service, Table side, Buffet, Stations. 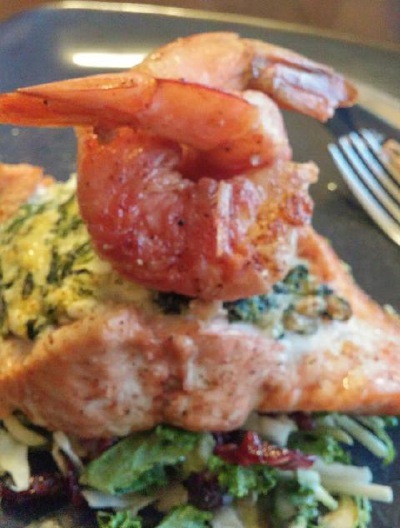 Chef Linda will make you authentic American faire, Mexican, Italian, French and BBQ too! Gourmet Salads, Organic Baby spinach, strawberries, blueberries. Organic Baby greens, caramelized nuts, craisens, gorgonzola with Champagne vinaigrette.